Gilead Sciences’ new hepatitis C (HCV) tablet Harvoni has been approved across the European Union to treat the majority of chronic patients with genotype 1 and 4. It follows a CHMP recommendation for the once-daily combination, which consists of 90mg of NS5A inhibitor ledipasvir, and 400mg of nucleotide analog polymerase inhibitor Sovaldi (sofosbuvir). Sovaldi has become the quickest selling drug of all time and is on course to bring in $10 billion in sales in its first year on the market – although Harvoni (ledipasvir/sofosbuvir) may be set to overtake it. Gilead says that for genotype 3 patients with cirrhosis and who may have prior treatment failure, the combination of Harvoni and ribavirin also offers a new interferon-free regimen. Harvoni has already received approval in the US and has a cure rate of 94-99%: but it comes with a substantial price tag, costing $94,500 for a 12-week treatment, and $63,000 for eight weeks’ treatment – compared with Sovaldi’s $84,000 for 12 weeks’ worth of therapy. However, Sovaldi is also used with Roche’s older injectable HCV medicines, which adds to the total cost and means that Harvoni works out marginally cheaper than Sovaldi - and with better cure rates. The marketing authorisation is supported by data from three Phase III studies, ION-1, ION-2 and ION-3, which looked at eight, 12 or 24 weeks of treatment with Harvoni, with or without ribavirin, among nearly 2,000 genotype 1 HCV patients with compensated liver disease. Graham Foster, professor of hepatology at London’s Queen Mary University, says: "With Harvoni, we have the potential to change the way we treat people living with the most prevalent form of hepatitis C in Europe." Around nine million people in Europe are believed to be infected with the hepatitis C virus, a major cause of liver cancer and liver transplantation. 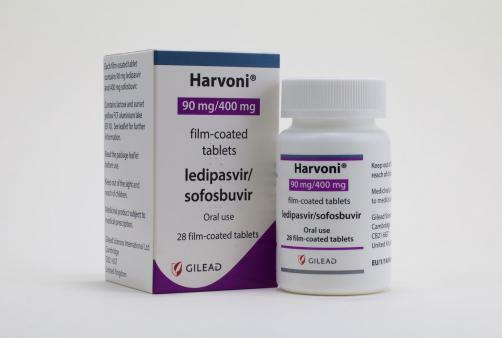 California-based Gilead has regulatory submissions for Harvoni pending in Japan and Switzerland.